I have completed my MBA (Masters of Business Administration) from the Institute of Business Administration, Jahangirnagar University (IBA-JU) with a dual major in Finance and Marketing. I also completed my graduation major in Finance. Currently, I am working as a Financial Analyst for a group of companies. Over the years I have acquired knowledge about financing, economics, management, and marketing. To explore my own knowledge I basically write about different issues related to finance, economics and also textile. The writing objective of mine is to let the things precise and clear to the readers that’s why I used to write in an easy language. I am Sheikh Nurja. I have completed my B.Sc engineering in textile (Major in Apparel Manufacturing). Now I am working as a merchandiser in a buying house. I was involved with factory merchandising job also. 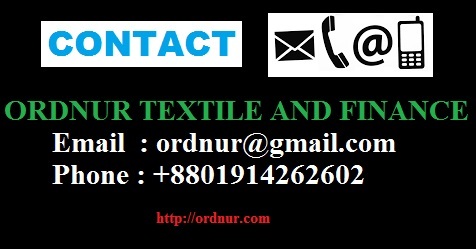 I am involved with this website because I want to share my knowledge and experience with students, engineers or any other people working in the textile industry or wanted to work in this sector. i need information about a crockmeter i need to buy one. I am a Diploma in Textile Engineer. I want to merchandiser job. please help me.